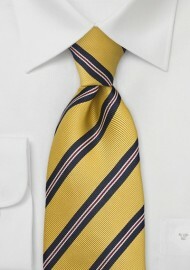 This mustard and navy striped tie is perfect for the man seeking an elegant, sophisticated, and British look. The traditional striped pattern is paired with a ribbed textured fabric that has a matte sheen and slightly stiffer feel. It is a perfect blend of fashion, tradition, and elegance. Neckwear designer Parsley created this traditional regimental tie in longer length. 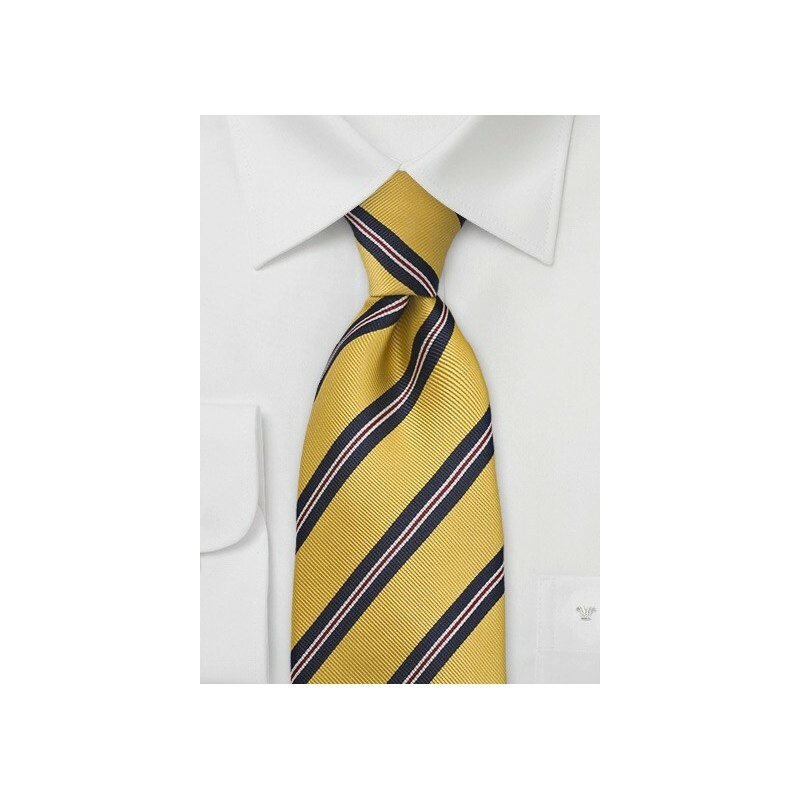 Although we at Ties-Necktie.com suggest a simple four in Hand knot for this traditional striped tie, it will be long enough for tall men wanting to tie a larger tie knot (such as the double Windsor). Made by hand from pure Mogador silk.